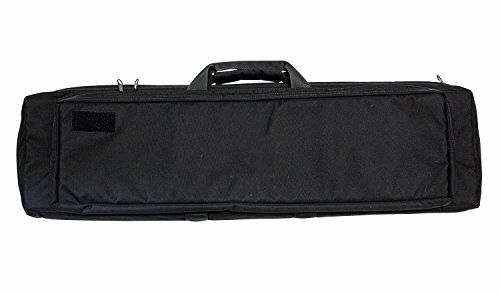 The Gorilla rifle case is part of our range series of gear. It's constructed of high quality Cardura nylon materials (not cheap polyester). It also features military grade zippers. No more blown out zippers at the range. The bag also features a separator inside in order to hold 2 rifles. The bag length is 40". Use in conjunction with our 6 mag chest rig, cleaning case and pistol case to make the ultimate range bag. If you have any questions about this product by SOTECH, contact us by completing and submitting the form below. If you are looking for a specif part number, please include it with your message.